Look to the head-turning Cass Stripe Maxi Dress to make an impression. 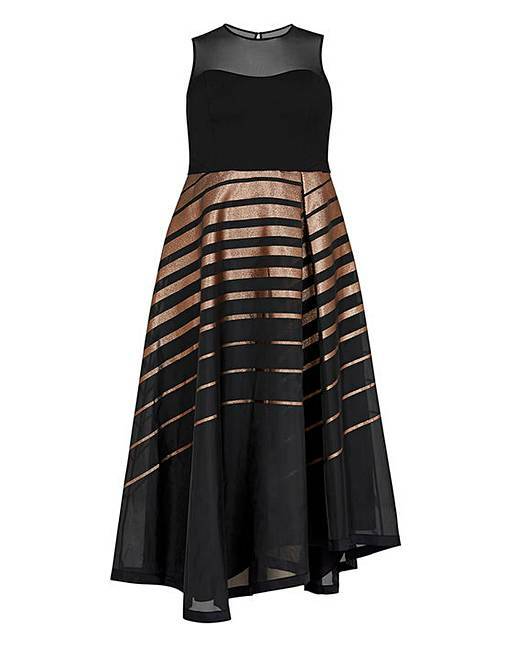 With a fitted bodice and metallic stripe full skirt, it’s a stylish option for a black tie event or very special occasion. 54% Acetate, 43% Polyester, 3% Elastane.